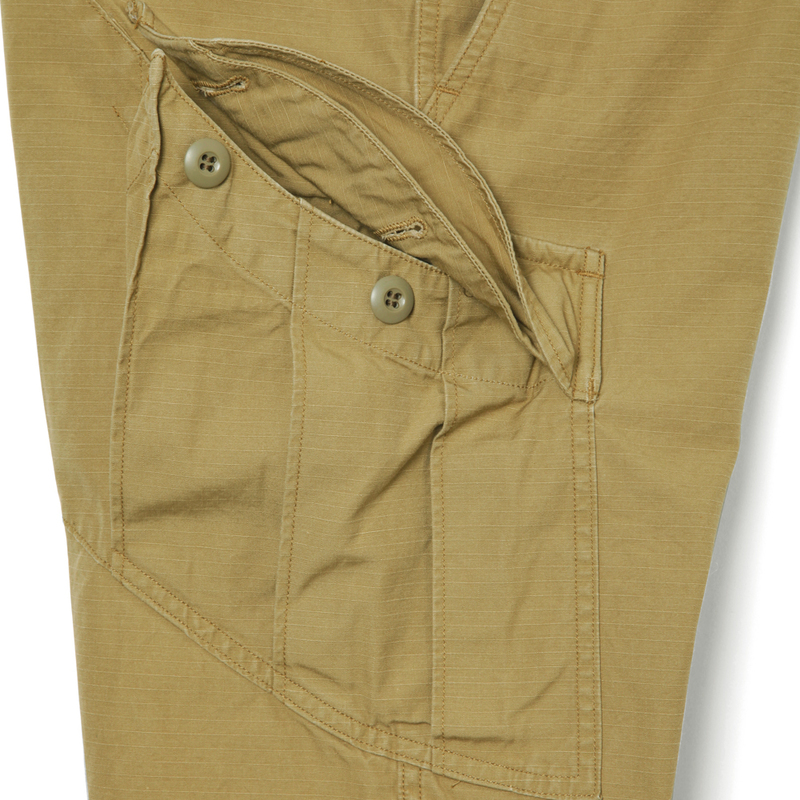 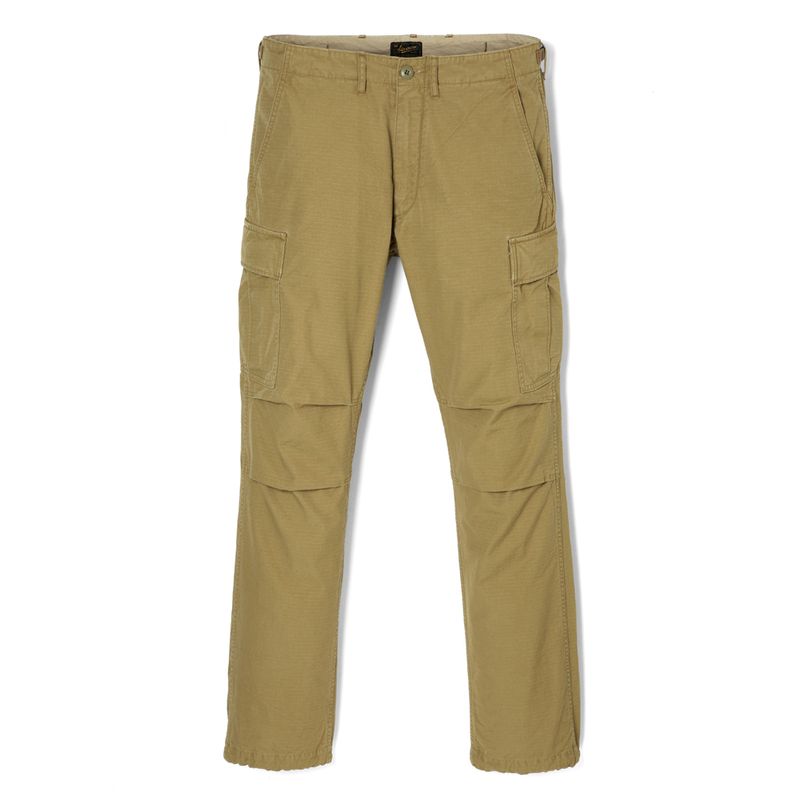 This model answers the questions to “what jungle fatigue pants would look like if they were produced by STEVENSON OVERALL CO.?” The right and left pocket to the back reinforcement has been consturcted using a single piece of fabric. By keeping the simple design of the original fatigue pant style this model retains a unique sense of originality that you can’t find elsewhere. 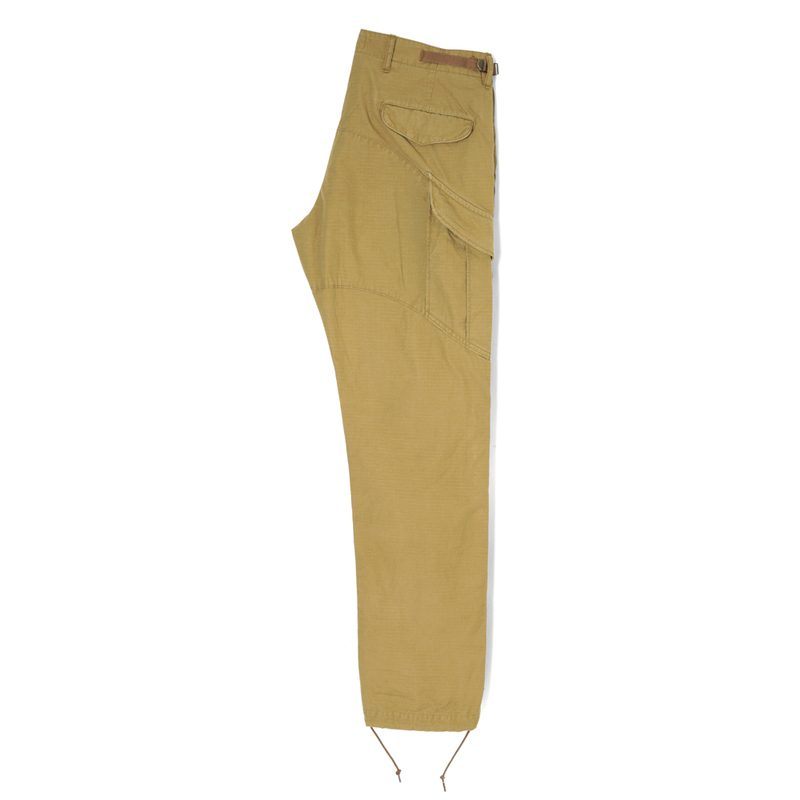 The pants offer a wide and relaxed vintage-style silhouette but the overall style has been updated to a more modern look. 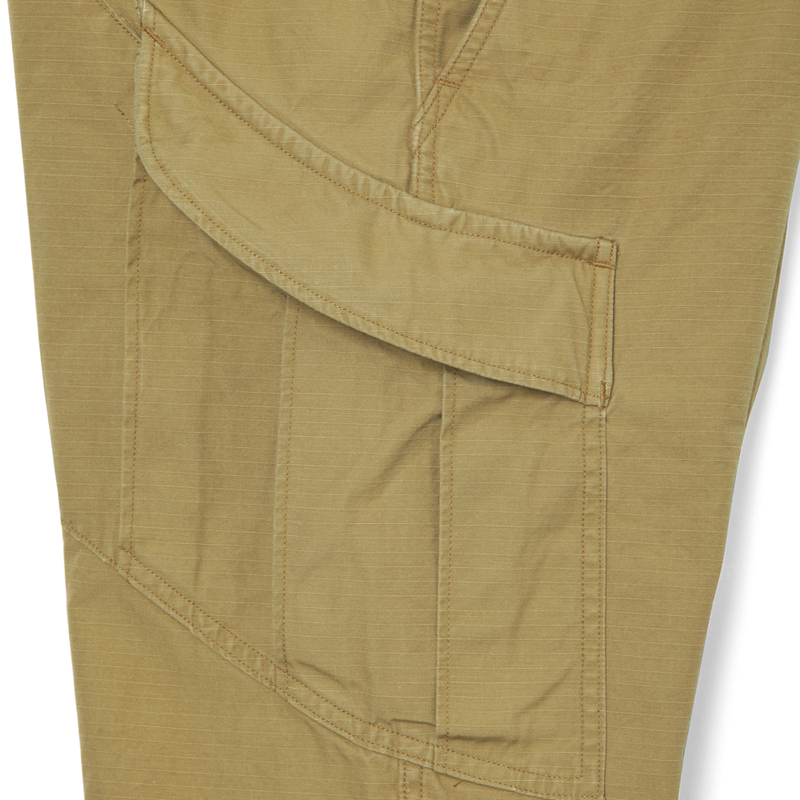 By putting a lightweight ripstop fabric through a hard wash (one-wash for the yarn-dyed ripstop indigo) not only does it create a subdued color but it also emphasizes the natural texture of the ripstop fabric.